I wasn't initially sure if I could take this flight due to work, but I needed to go back to Manila anyway to get some dental work done, and for a reunion with a set of friends I have made online. (Yes, I have online friends. They are not as creepy as you would imagine!) But before all that, I was in Bangkok for a one-night stay. After eight long years, I have finally revisited Thailand during a long layover. For this trip, I met up with my friends from Manila who flew in a day earlier to Bangkok. With the small amount of time we had, the aim was to do random things that we could all enjoy as a group, without sacrificing the culture. 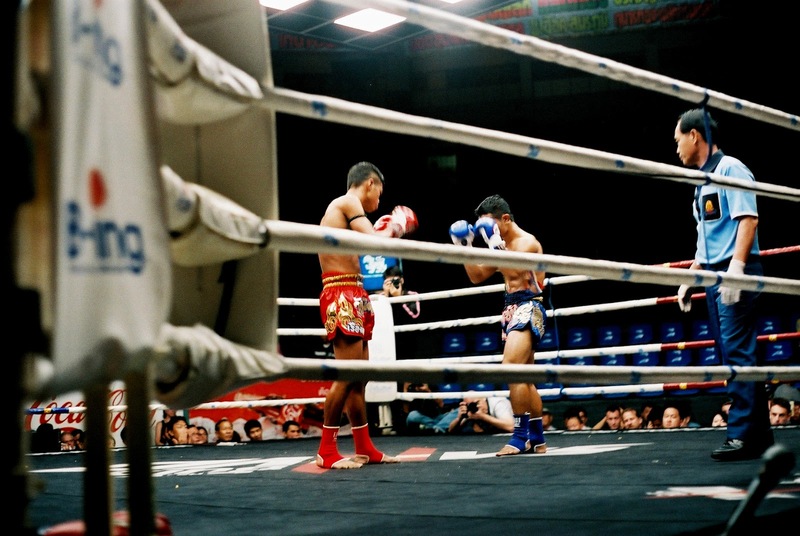 And so in this post, I want to highlight the best thing we paid for on this trip, at least for me: The live Muay Thai fight at the Rajadamnern Stadium. 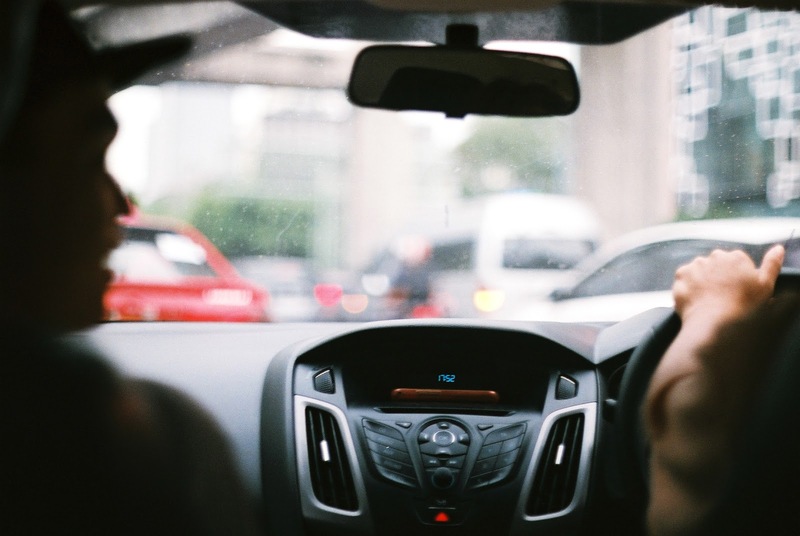 I wish I could tell you how we got there via commuting, but we only took an Uber. It didn't cost us much at only 90 Baht from the Bangkok Art and Culture Centre and a 30-minute ride, 10 minutes without traffic according to Google. The stadium is right beside the Ministry of Tourism and Sports. For every country, there is a list of tourist traps you should be aware of. Do I think this was one of them? No. It's a bit pricey but I wouldn't say it was a scam. Prices are listed on their website and there is an official receipt indicating the same price. 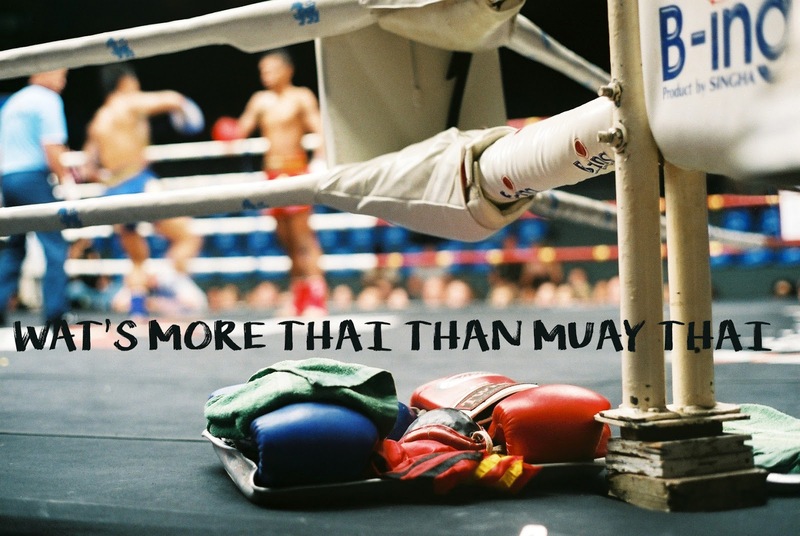 Relative to the rest of Bangkok destinations, this does not attract as many tourists as it's still very much a local activity to go there and place bets. A little side note: If you have a friend with you who knows Muay Thai and can challenge one of the fighters at the end of the nine matches, you and your group can get in for free. No BS, the staff asked our friend, Tonix, to at least try. We would have saved 8000 Baht among our four in entrance fees. The funny thing was, we were all trying to convince him to give it a shot. (Okay, maybe just me. And I did not just try. I begged him. All because I wanted to save money lol) To cut this part of the story short, sorry to burst the bubble, we all eventually bought the tickets to the ringside seats. 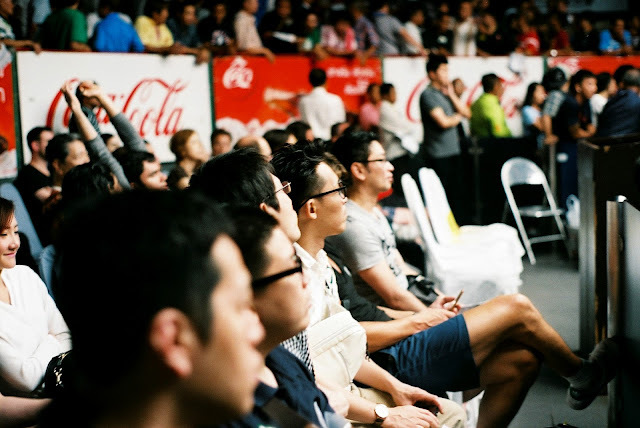 Mostly, only tourists can be seen buying the VIP tickets to be on the ringside. The reason behind this is that the stadium doen't allow photography and videography from the 2nd and 3rd class because those are where all the betting locals sit. Something about the stadium preventing evidence of their patrons be recorded. Besides, if you go there for the first time on a holiday, wouldn't you want to capture whatever you can to show to people back home? And if you're there for the first time, I'd bet you'd really want to. Chatuchak Market was closed because it was mid-week, but I guess we're still lucky to have gone to Bangkok when we did. Operating for only four nights a week, Monday, Wednesday, Thursday and Sunday, we grabbed the chance to watch the Wednesday fight at the stadium. It was such a surreal experience as soon as we entered. I took photos and videos but I couldn't capture the intensity that was happening right in front of me and on the 2nd and 3rd class seats. It was so lively--drums beating heavily live, fighters getting prepped and shouted on by their coaches (with encouragement and tips, I can only hope) and people chanting for their bets in local tongue. Hair-raising is a word I can use to perfectly describe the whole event. 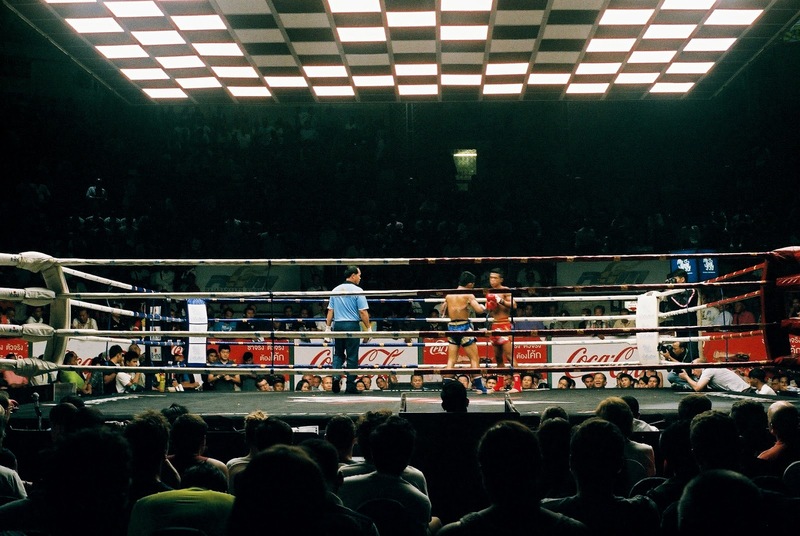 I got myself beer and steamed peanuts from the concession stand, and air-pumped my fists whenever my favorite fighters were landing punches and kicks, groaned when they got hit hard, and momentarily gave standing ovations for respectable wins. Throughout the matches, I couldn't stop saying, "Wow, I can't believe we're here!" Never even thought about it had someone I met while traveling not told me. So as a way to pass the good travel tip forward, I'm encouraging you, too, to experience a Muay Thai match for yourself. 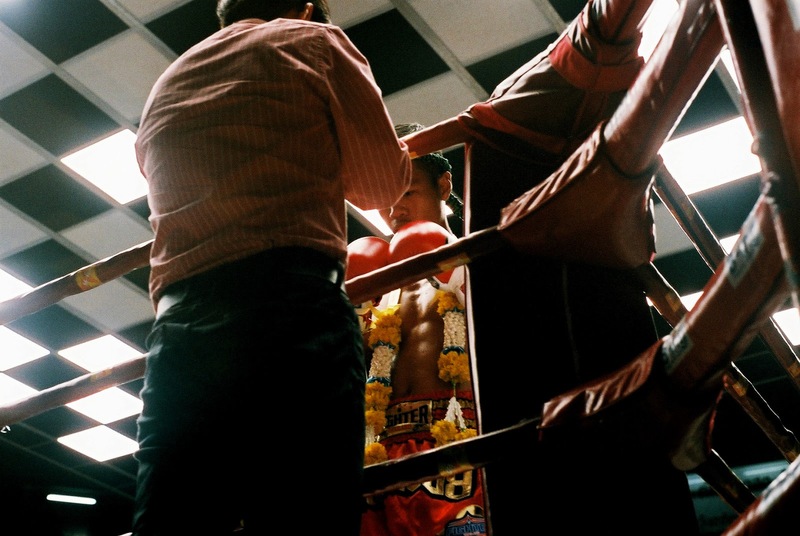 You have never really seen Muay Thai until you've seen it live in Bangkok. Note: All photos taken using my film camera Pentax Spotmatic with Fujifilm Superia 400 film. I made the mistake of bringing a box of 24 exposure rolls and by the time we got to the stadium, I only had 8 shots left. Thankfully, they didn't all go to waste. Check out my other film photo stories here.